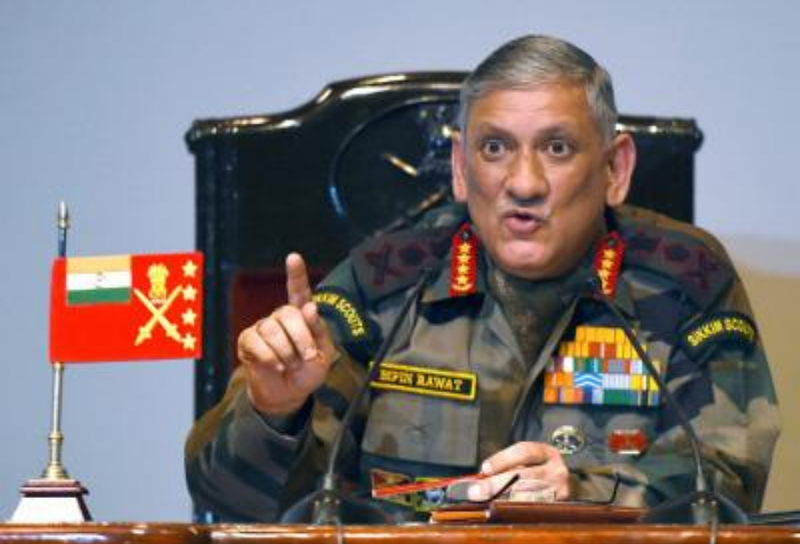 NEW DELHI: Asserting that equal opportunity brings equal responsibility, Army chief General Bipin Rawat on Friday said it's up to women to decide if they they are willing to join men in a frontline combat role without separate and additional facilities. He mentioned that when out on tanks, the men cook and sleep under the tank. Noting that women are present in combat arms of the army except on the frontlines, Gen Rawat reminded that there are no toilet facilities when out on patrol. "You have to see society as whole. I have said that if we induct women into combat role, they will have to share equal responsibility like their male counterparts... Which means that they will have to perform exactly the same task," he said addressing his first annual conference here after taking over as Chief of Army Staff. Giving the example of soldiers in tanks, he said there is a unit of three personnel in each of them. "So, if all three in the tank, if it is one woman or two women and a male, if they are all willing to sleep under the tank and if the women folk are willing to accept it... If women are willing to move out in that environment, the women folk themselves need to take a call. Once the women are willing to take this kind of call, we will address this issue," he said. While women are inducted into the Corps of Engineers and Signals, they have been left out of the Infantry, Armoured Corps and Mechanised Infantry. The IAF has inducted women into combat role, but postings at forward bases are unlikely.